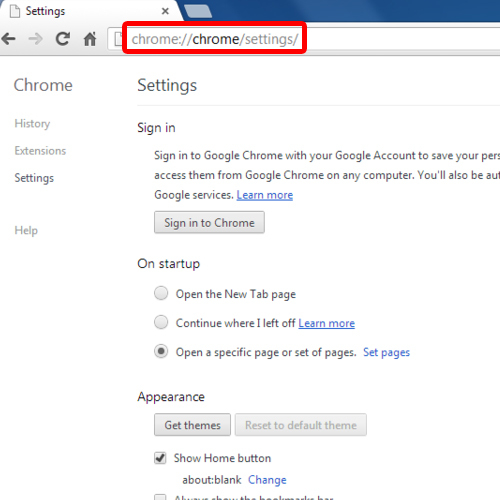 When talking about Google chrome, the omnibox (the address bar) acts as a search box as well. You can type in the keywords and it will directly take you to the default search engine in chrome. If you are running Google chrome for the very first time, when you click on the address par a notification window will pop up. 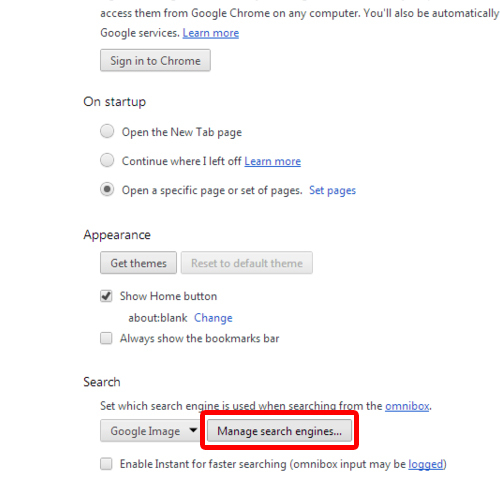 From there you can change the default search engine of the browser which by default is set to Google. 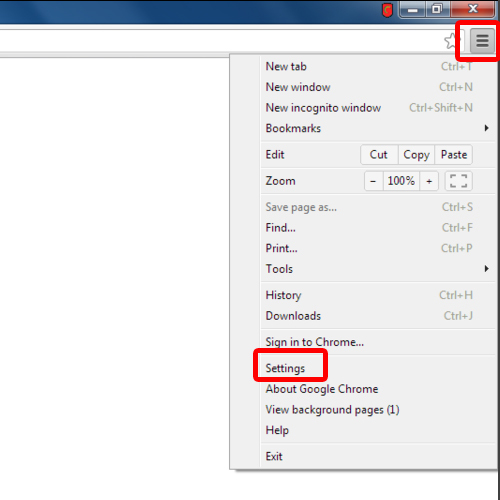 If you want to learnhow to set the default search engine inchrome, follow the step by step guide below. When you open up Google chrome, you will notice a button on the right side of the browser window, next to the address bar, with the three horizontal stripes on it. That button is called the “Customize toolbar button”. Once you click on that button a menu will appear on the screen. From the many options, click on the “Settings” option to open up the settings window. Once the settings window opens up, click on the “Show advanced settings” option. This will load up more options in the same window. With that done, move over to the search category and click on the “Manage search engines” button. When the new window opens up, here you can see a list of search engines. 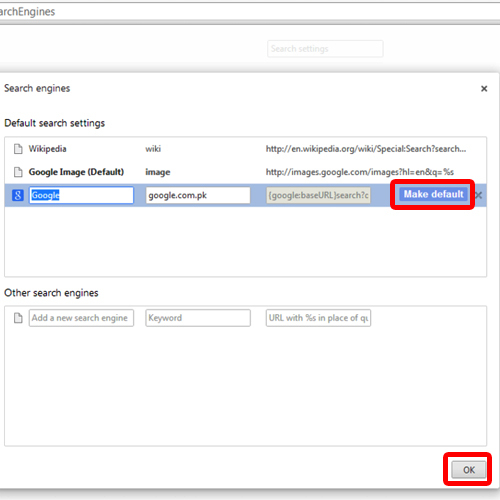 For this tutorial, let’s make googlethe default search engine in chrome. For that, click on the option and you will notice the “Make default” option appearing towards the right side of the screen. Click on it and Google will be made the default browser search engine. With that done, click on “Ok” to exit from the window. With that done, the default search engine in chrome will be set. and the settings window will open up.